Hungary will next week launch a fresh attack on Soros. Hungary’s government will next week launch a fresh attack on billionaire investor George Soros as part a “national consultation” that critics have dismissed as “lies and false conspiracy theories”. Viktor Orban, Hungary’s prime minister, who is seeking a third consecutive term in elections expected in April, has made criticism of Mr Soros and the EU the core of his political message. The national consultation questionnaire, which will be posted to 8m citizens from next Monday, accuses Mr Soros, a Hungaria-born Holocaust survivor, of masterminding a plot to flood Europe with more than 1m immigrants each year and instructing the European Commission to enact the scheme. A leaked version of the document seen by the Financial Times lists seven allegations against Mr Soros, citing as evidence statements made by the financier in international news outlets including the FT. 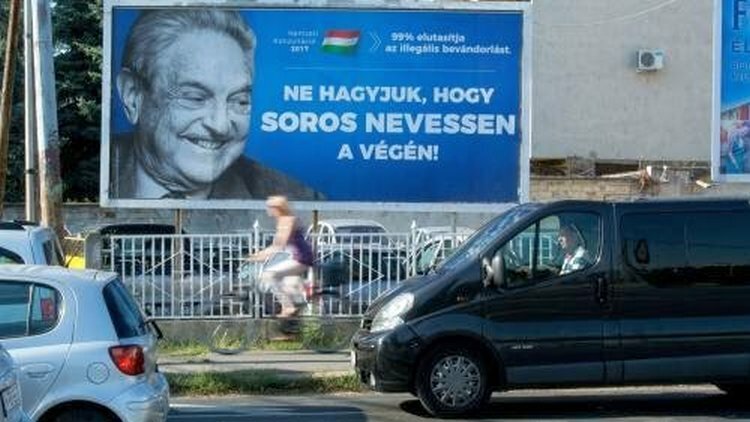 The questionnaire will ask Hungarians if they agree with Mr Soros’s alleged support for specific measures, including dismantling border fences and opening borders, ensuring milder criminal sentences for immigrants and publicly attacking and punishing countries that oppose immigration. State-funded television began airing advertisements promoting the consultation last week. Hungary's Viktor Orban has led the fight against the EU's refugee quota plan. In an article in 2016, Mr Soros said the EU should boost its external border security and guarantee places for 300,000 refugees to discourage irregular migration. He also called for a common European asylum system but has repeatedly argued against forcing EU countries to accept quotas of refugees. 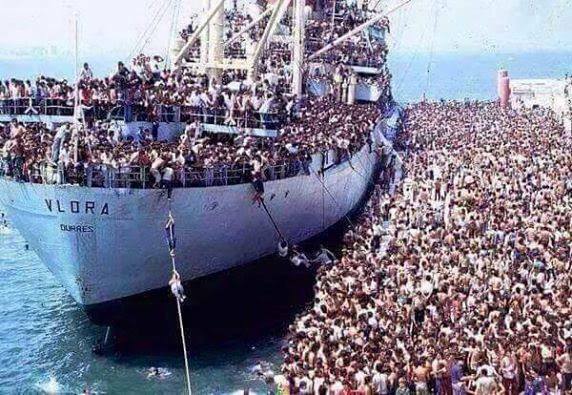 “The EU cannot coerce member states to accept refugees they do not want, or refugees to go where they are not wanted,” he wrote. Despite Mr Soros’s opposition to compulsory resettlement, Hungarian officials have portrayed a 2015 decision by more than 20 EU governments to create a refugee relocation programme as a key element of a supposed “Soros plan”. Mr Orban claims EU officials are implementing the alleged scheme because they “eat from Soros’ hand”. A spokesman for Mr Soros told the FT the campaign was based on lies. “There is no such thing as a global conspiracy against Hungary orchestrated by George Soros,” he said in a statement. Human Rights Watch, an international NGO supported by Mr Soros’s foundations, described the consultation as an “official hate campaign” containing false statements, adding that it was “likely to fuel anti-foreigner sentiment”. Hungary’s continuing refusal to acknowledge the legality of the EU’s refugee-sharing programme, despite a September ruling by the European Court of Justice backing the plan, has prompted calls by senior German officials to deny billions of euros in EU structural funds to countries that undermine rule of law. Szilard Nemeth, vice-president of the governing Fidesz party, said last week that Mr Soros’s motivation for boosting immigration was financial and rejected the threat of sanctions by Brussels. “We are entitled [to EU funds]. They can’t just turn off the money tap. It’s not that simple — this isn’t Moscow yet,” he said, according to local media. Amid the continuing government criticism of Mr Soros and EU refugee policies, a Median poll released last week suggested Fidesz was backed by 55 percent of decided voters, nearly 30 percentage points ahead of its closest rival, the radical rightwing Jobbik party. Laszlo Botka, the leader of the leftwing MSZP party, announced on Monday that he would end his bid to become Prime Minister after the poll estimated his party’s support at 9 percent, its lowest level in nearly 25 years.